Whether you ask your neighbors or check online, Precision 1 Tree Services is among the best in the business. We carry a coveted Five Star rating with popular service websites Thumbtack and the Yellow Pages. Ask anyone - Precision 1 Tree Services is a brand you can trust. During hurricane season, rotting trees and overhanging branches can result in long-term power outages and catastrophic damage to property. Your home or business is too important to place in the hands of a fly-by-night operation, which is our customers can trust Precision 1 Tree Services' 8 years of landscaping experience. 30 years experience. Licensed, insured, fully equipped, well known in the area. A Budget Tree Service, Inc.
We are a family owned and operated company that specializes in hazardous tree removal and offer a wide range of services including; tree trimming/pruning and removal, crane service, Bob Cat service, de-mossing, tree installation and stump grinding. We are licensed, insured and our priority is your satisfaction. 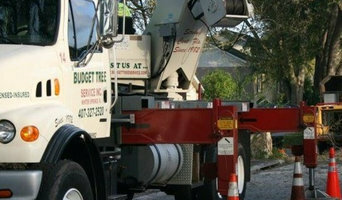 I am fully functioning local tree service to the central Florida area for over 15 years. I am born and raised in Orlando. My company and workers do our best to come out and give you the best, most affordable free estimate possible. Our service provides complete Tree Service. From complete Tree Removal Tree thinning Tree trimming stump grinding and total land clearing. Basically any and all tree services. We also give FREE ESTIMATES. Advance Tree Pros offers all kinds of tree services in Orlando and nearby areas right from tree removal, trimming, landscape clearing and so on. The waste products that are obtained from the processes are completely recycled so that they don’t get dumped in landfills causing pollution. All kinds of information about the company and the services can be obtained from <a rel="nofollow" target="_blank" href="http://www.advancetreepros.com/">http://www.advancetreepros.com/</a>. For more than 10 years, Central Florida residents and business owners have come to depend on 1-888-CleanUp for a variety of services, including tree trimming, concrete cutting, tile removal, dump truck services, Bobcat services, bollard installation and junk removal. From asking thousands of our clients what they deem important, we know that above all you want value for your money and respect for your property. You expect helpful tree education and proper tree care. You need a company you can depend on to show up, perform the work as promised, and clean up thoroughly. Fulfilling these requirements is our highest priority. Forrest Stump in Orlando is a well-established, professional, and distinguished tree removal service that also offers tree trimming and stump removal. 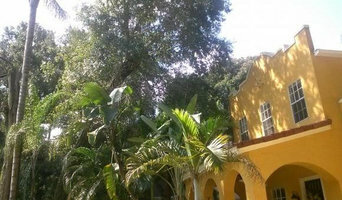 Forrest Stump team is comprised of some of the most knowledgeable and competent tree service professionals in Orlando. We carefully plan and execute each job with tactical precision. We work with residential homeowners, commercial and residential property management groups, as well as government clients. Since its inception, Forrest Stump has built a reputation by focusing on the importance of creating strong customer relations, growing a culture of constant communication and a philosophy of providing quality solutions through continuous improvement – a combination which differentiates us from our competition. One of the best examples of the quality of our service is the standard of our pruning. All pruning operators undergo regular refresher training and we are able to provide numerous examples of the positive feedback we have received for our work. A-1 Arborists Tree Service of Orlando FL provides more than our clients can ever expect; therefore we have become extremely recommended from those who’ve already used our tree services. When it comes to your tree needs do not hesitate to call us and tell our specialists about the issues you’ve been experiencing; they know how to help you out. Our friendly and polite staff will be more than happy to answer all your questions in regard to our affordable rates or emergency tree removal service. We’ve been meeting the needs of our devoted clients for 30 years. We have regular customers who come to us every time they need a top tree care service. We are well known for we offer dependable support and provide clients with quality services at affordable prices. Locally owned and operated, A Final Cut Tree Service serves the residents of Orange, Seminole and Volusia counties of Central Florida with any of their tree care needs. Our company has over 15 years of experience in the tree industry. We employ a staff of both licensed and insured tree climbers and workers. 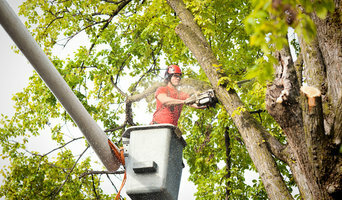 This equates to professionals who will safely and efficiently complete your tree trimming and removal needs. We will also make sure we clean up the area and leave no mess behind. No job is too big or too small for A Final Cut Tree Service. Tree trimming and removal, stump grinding, or even bigger jobs requiring cranes are all in a days’ work for our staff. We are available 24 hours a day, seven days a week for emergency tree removal as well. Kevin’s Tree Service has been a local favorite tree service company here in Central Florida and the surrounding areas for over 27 years. We have over 30+ years of experience in the tree care industry, and we know what it takes to get the job done right. Our #1 priority has always been to put our customers first, and to always offer the fastest, friendliest and best tree service in Central Florida. Kevin’s Tree Service is fully insured with both general liability coverage, as well as workman’s comp. Our prices are always highly affordable, and we always provide top-notch, reliable tree services from only the most qualified and certified arborists. Call us today for more information! "Making neighborhoods beautiful one tree at a time." Whether you’re planning a new garden or landscaping an existing one, an arborist can also advise you on the best tree selection for your Orlando, FL environment, assist in planting, and can provide you with a long-term maintenance plan. Furthermore, they can help you diagnose any insect problems or diseases threatening existing plants in your yard. If you want to relocate a tree, an expert in arboriculture can give you advice on what it will need to flourish, and will replant it accordingly. Other services include hedge and shrub trimming, tree pruning and mulching. Tree contractors and arborists in Orlando may work in conjunction with landscaping professionals to create a seamless design. Here are some related professionals and vendors to complement the work of arborists & tree services: Landscape Contractors & Gardeners, Landscape Architects & Designers, Garden & Landscape Supplies.